Anaheim Elementary School District’s Induction Program is a mentor-based, inquiry-driven program that serves AESD employees. As outlined in SB2042, Teacher Induction is now the pathway to a Professional Clear Credential. AESD Teacher Induction Program is designed to support beginning teachers who have finished their credentialing program and have applied for, or currently hold, a preliminary Multiple Subject, Education Specialist, or Single Subject Credential. AESD is dedicated to providing Induction for teachers who are working toward clearing these credentials. Any contracted AESD teacher who holds a Preliminary Credential is eligible for and admitted to our program. Our job-embedded program provides clear credential candidates with the opportunity for a deeper application of the strategies and skills emphasized in the teacher preparation experience. With a knowledgeable and experienced Support Provider, teachers will receive just-in-time support and guidance through the inquiry process. The candidate’s professional growth goal is the catalyst for an individualized inquiry. Our monthly Induction collaboration meetings, self-selected professional development opportunities, and Advice and Assistance Meetings provide program participants with opportunities to collaborate, learn, and reflect on their practice within the context of the inquiry cycle. Support Providers: Just-in-time support is given to meet immediate and individual candidate needs and is provided by the Support Providers and Induction Program Curriculum Specialist. This support includes but is not limited to, all work done in Learning Cycles and Individual Learning Plans. Support is documented in the Support Provider meeting logs, Advice and Assistance feedback, observation notes/feedback and the Participating Teacher’s Individual Learning Plan. The AESD Induction program is organized around two cycles of inquiry per school year. All Participating Teachers have the opportunity to apply for the Early Completion Option. Education specialist candidates who hold a general education clear credential are placed on an individualized plan under the, “Early Completion Option”. The goal of the teacher inquiry is for participants to investigate a focus area, generated from a focus question, created by two CSTP elements of their choice and a Common Core State Standard. They will develop this focus question with the support of program leadership and their Support Provider. Participants will then analyze data from Assessment 1 and set goals, develop an action plan, and begin the inquiry. 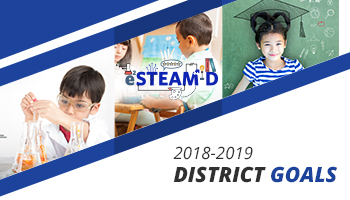 The action plan gives participants the opportunity to observe two teachers, apply any new teaching practices they observed, and participate in a coaching cycle with either the Curriculum Coach at the school site or the District Digital Learning Coach, or both. In addition participants talk with grade level colleagues weekly, attend Professional Development opportunities of their choice that are related to their professional growth goals, and explore two resources of their choice and apply what they have learned. Throughout the inquiry, teachers will consistently reflect on the effectiveness and impact on student and professional learning by self assessment and by analyzing student data at then end of the inquiry in Assessment 2. The steps in the cycle of inquiry are linked below, and outlined on the ILP document. The course of study for AESD Induction participating teachers takes place primarily with their mentor during their weekly meetings, where they receive just-in-time support and support with their inquiries and Learning Cycles. They also receive monthly support from the Induction Program Curriculum Specialist at Induction meetings and 1:1 support at four Advice and Assistance meetings throughout the year. Program Orientation: Participating Teachers (PT) attend a program Orientation, where they receive an introduction to the AESD Induction program. In addition to a general overview of the program at orientation, PTs and SPs have the opportunity to collaborate with other teachers at three monthly Induction meetings throughout the year. Collaboration Opportunities: Held every month at Induction PT and SP Meetings, allow teachers and mentors to collaborate and problem-solve anonymous scenarios submitted by Participating Teachers or Support Providers. Depending on the timing of the monthly meetings in the inquiry process, collaboration is structured to elements of the inquiry process or share successes and challenges they are experiencing. The Induction Program Curriculum Specialist is available during these collaborations to provide guidance, just-in-time support, and feedback. Advice and Assistance Meetings: The AESD Induction Program has a formal process Participating Teachers follow to ensure all candidates successfully complete program requirements and are recommended for their clear credential. Program completion includes attendance at four Advisements Meetings to discuss and share completed requirements before being scheduled for a final appointment at the Induction Credential Review Showcase. Credential Review Showcase Panel & Assessment of Candidate Competency: At the Credential Review Showcase, Participating Teachers present one of their two Individual Learning Plans from Year 2 Induction work. This ILP is presented to a mixed panel of three to four Administrators, Advisory Board Members, Support Providers, and District Leaders. PTs have approximately twenty minutes to discuss their ILP in detail, focusing on the CSTP elements chosen, resources that contributed to their individualized growth (ie: professional development, coaching cycle with coach, observations, research), impact on student achievement, TRIAD Meeting feedback, and the overall outcome of the inquiry. Once the panel reviews the scoring form and a discussion takes place, successful candidates are recommended for their clear credentials. Human Resources Technicians then work with Participating Teachers to complete the Clear Credential Application. If there are deficiencies in any area, the candidate meets with the Induction Coordinator to write a plan detailing steps needed for Program Completion.